As the school year is moving forward I am beginning to look into my options for studying abroad. While it has been hard for me to take the focus off of my trip in Thailand and place it upon future endeavors instead, I believe that I am making some headway in my attempt (partially by finally moving on from posts about the awesomeness of that trip and onto future adventures). 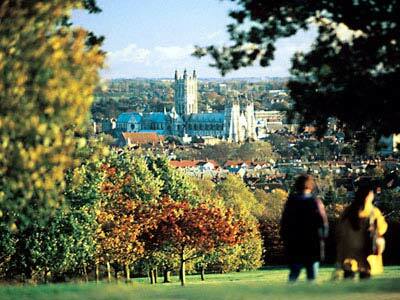 The current plan is to go to Canterbury, England (exotic, I know! ), in order to pursue my passions for English and fulfill the credits for my English degree. I am currently double majoring in English and Global Studies, and plan on using my future flat in Canterbury (a short train or bus trip from London) as a home base for my travels. Although I don’t really have any concrete plans so far, I hope to make it to a variety of destinations, most of which I have never been to before. I also hope to revisit some of my favorite destinations (Paris, Amsterdam, Barcelona, Bruges). I would love to visit some friends that I have met along my travels (or along theirs), and will take advantage of the close proximity to actually go visit them. I am also becoming increasingly interested in tea, and hope to revisit (and post about) two of my old favorite spots, Der Brugges Teehaus and The Covent Garden Tea Shop. I intend on scoping out some new spots too, so if you all have any suggestions, please tell me! This is just a basic sketch– I’m sure I will make it to many other places along the way. More to come soon! Previous Post Packing List: Southeast Asian Edition! Thank you Corinne! I’m glad it’s helpful! I’m dying to go to both Hungary and Sweden, and I’ll be in England for the whole academic year (fall 2012-summer 2013). I would love to come see you if that’s alright with you! And naturally you’re always welcome to come see me! I’ll put Romania on the list– it’s pretty fluid, and I love getting suggestions! Thanks again!